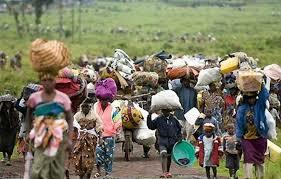 Some schools in Benue state have been forced to shut down to accommodate some displaced persons in Benue state. Information from the Executive Secretary of State Emergency Management Agency (SEMA) indicates that at least 2,050 children are locked up in one camp in Gbajimba. According to the report, Apart from the children from rural areas that have been camped in the primary school, Gbajimba has also been shut down in order to accommodate the refugees since there are the Internal Displaced Persons camps in the state are not enough to accommodate the number of displaced person in the state. “This is the multiplier effect of this genocide operation. There are six IDPs camps in these two affected local governments and if the statistics of these school children are the same across the IDPs camps, over 10,000 children have been forced out of school,” he said. “Many schools have been affected though we are yet to ascertain whether school buildings have been destroyed the same way they do to houses in villages. We met one of the cops that were attacked by the armed herdsmen and he confirmed that they were Fulani herdsmen.